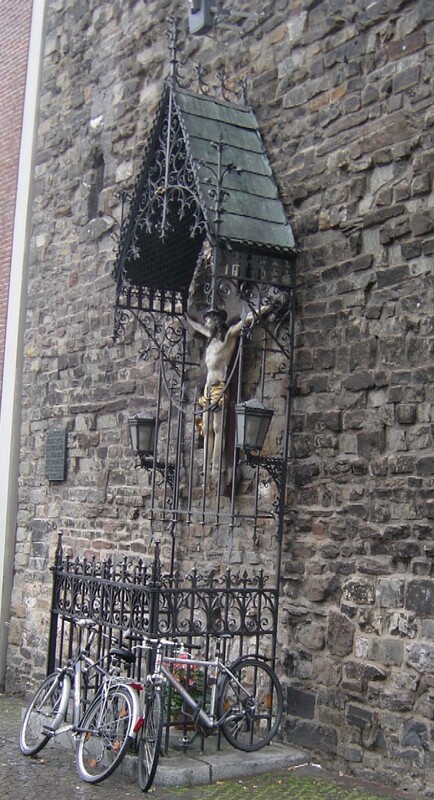 The chandelier was made between 1165-1184 in Aachen. It was a donation of Emperor Barbarossa. This throne was used by 31 of many German rulers for their coronation in the Aachen Cathedral. It is claimed to be Charlemagne's. Aachen Rathaus - built where Charlemagne palace used to be.